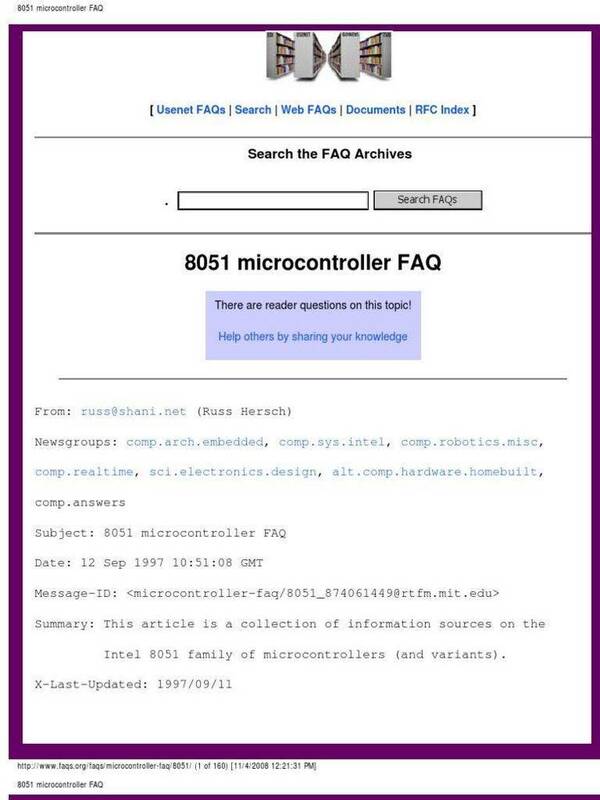 Assembler for microcontrollers 805x, 68xx, etc Dunfield Development Systems. from its use or distribution. braces ('') are used to identify operands which are optional. it is assumed to have the extension ".ASM" if none is supplied. listing is written to a file with the name '.LST'. instructions in place of LJMP/LCALL. differences, and assume that the symbols are the same. part of , it defaults to ".HEX". are written to the listing file. to the file in MOTOROLA hex format. , it defaults to ".LST". terminate with an error message. most useful when initialy testing and debugging a program. The default number of optimization passes allowed is 3.
display of the progress messages. symbol table is not displayed. terminal, (via stdout) instead of the usual '.LST' file. table listing. Default page width is 80 columns. by at least one blank or tab. by at least one blank or tab, and is ignored by the assembler. they will be interpreted as the end of the operand field. precedence. Precedence can be forced with the use of brackets. are contained within a character string. - - Negation, returns the negative of the next value. ~ - Complement, returns one's complement of the value. = - Swaps the high and low bytes of the next value. \ - Modulus, returns remainder after division. ^ - Bitwise EXCLUSIVE OR. The following forms of simple values may be used. - Value of a label from symbol table. * - Value of current program counter. use from the instruction and/or its operands. largest offset will be used. '=' (swapping high and low bytes). bit) address if it is preceeded by a left angle bracket ('<'). bit) address if it is preceeded by a right angle bracket ('>'). notation of a leading '@'. by enclosing the offset value in square braces (Eg: ',Y'). the bit mask is separated from the address by a ';'. containing this directive will not appear in the listing. This directive causes a blank line to appear in the listing. Lines containing this directive will not appear in the listing. which errors occur are listed regardless of the NOLIST directive. Re-enables output listing, following a NOLIST directive. into memory as single byte constants. into memory as double byte constants. and low bytes of the coded values are exchanged. part of the string text. except that the string has a zero byte ($00) appended. the "bit" type, regardless of the type of expression used. number of the line in which the error was detected. error in the first pass only, displayed at the top of the listing. N/A | Symbol table overflow. | assemblers symbol table has become full. | forward referencing, or a self referencing loop. | contain a valid instruction or assembler directive. | is farther than +127 or -128 bytes from the program counter. | indicated line does not apply to the instruction on that line. | context specified by the instruction. | anywhere within this assembly, and has no value. | which is not recognized as a valid operator. | with the FCC, FCCH, FCCZ, STR, STRH or STRZ directives. MOV DATA,#12 ERROR: "Size not known"
MOV 12 ERROR: "Incompatible sizes"
the SEGMENT:OFFSET is taken from the operand address. MOV AX,[BX+10] This MASM syntax NOT supported!!! which must preceed the target instruction on a separate line. code level to virtually any assembler or cross assembler. source programs as more managable separate files. must be enclosed in double quote's. sub2 set "this gets substituted"
with arguments of the form "=". lines of assembly source code. from the operand field begin with parameter one. \# - Substitute the number of parameters passed. used to create unique labels within the macro. \@1 - Day of month, 1 or 2 digits. \@2 - Day of month, 2 digits. \@3 - Month of year, 2 digits. \@4 - Month of year in string form. \@5 - Month of year in three character string form. \@6 - Current year, 2 digits. \@7 - Current hour, 2 digits. \@8 - Current minite, 2 digits. \@9 - Current second, 2 digits. NOTE: The time is recorded when MACRO is first invoked. \\ - Place a backslash character in the macro definition. are ended with the ENDMAC directive. has no knowlege of the labels and symbols used by the assembler. specified by to have the text specified by . two argument strings do not match. preceding IFEQ or IFNE directive failed. assembly statements following a IFEQ, IFNE, or ELSE directive. output file at the point where the INCLUDE directive occurs. Macro processing is performed on the included file. change the record size, padding etc. of the output file. a memory image of the ROM which is to be produced. assumed for the ROM image (default is addres in first record). The 'w=' option may be used to specify a different output file. place in each output file record (default is 32). output file records (default is Base address of input file). (8 bit) image of the target ROM. at the indicated 'destination' address. CMPX #ROM+8192 ARE WE FINISHED (AT END)? CMPD >ROM IS CHECKSUM OK? order in which they occur in the command line). entire ROM image, calculated in the above manner. re-directed to a file or printer. be used to define several additional symbols. will not be displayed in the cross reference listing. The PSOURCE utility is used to generate a 'porting' source file. PSOURCE makes a source file which is purposely difficult to read. of your program, but will assemble without error. separate the fields in the output files (instead of spaces). process of porting your software. up to 50 label names. entering a 'k=' option for each line of the file. include it in the output file. Exchanging XASM code with assemblers which support an "Intel"
to and from the "Motorola" style used by the XASM assemblers. written to the output file with several conversions to XASM style. -L - Inhibit removal of trailing ':' from statement labels. corresponding XASM equivalents "%n, @n, n and $n". "@expression" to the XASM equivalent "[expression]". 8). This information is used to determine the column numbers. t = Record type, '1'=data, '9'=end of file. bit sum of all values fron 'nn' to end of data. Note2: End of file record contains count of 00.